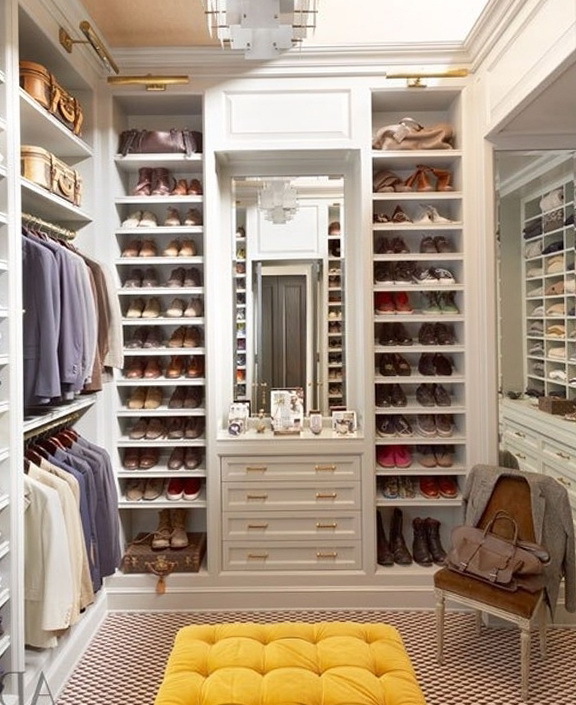 Dressing room – this is primarily a vital necessity. 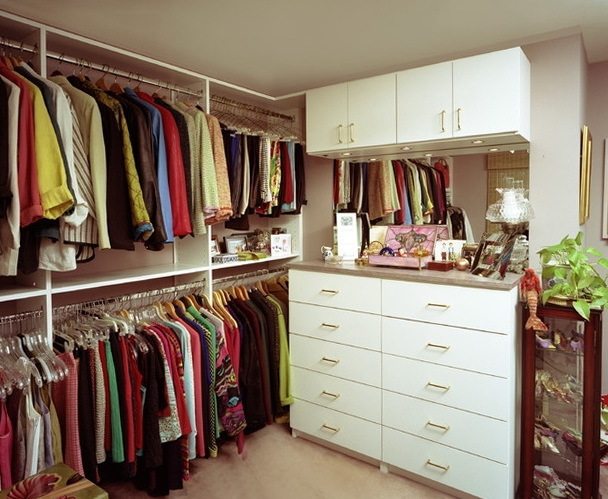 Thanks to the dressing room you can save space in the apartment, you can easily get rid of the set of cabinets that sometimes they clutter the room. 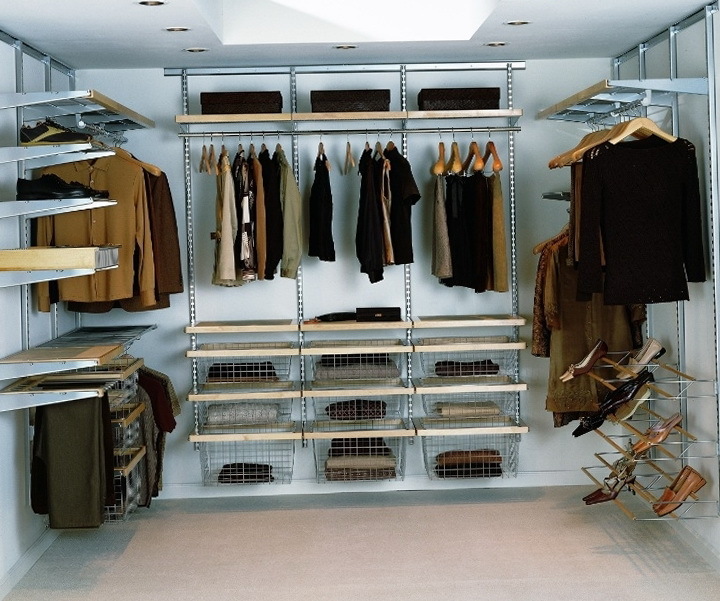 Accessories, hats, jewelry, shoes and clothing, all of these things can easily fit in a comfortable dressing room. 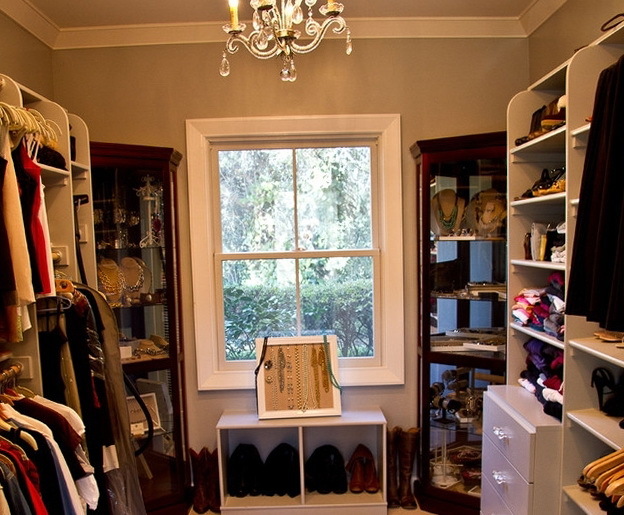 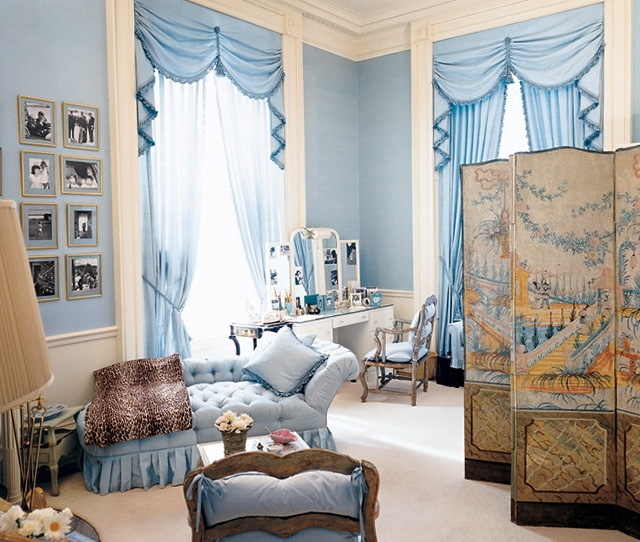 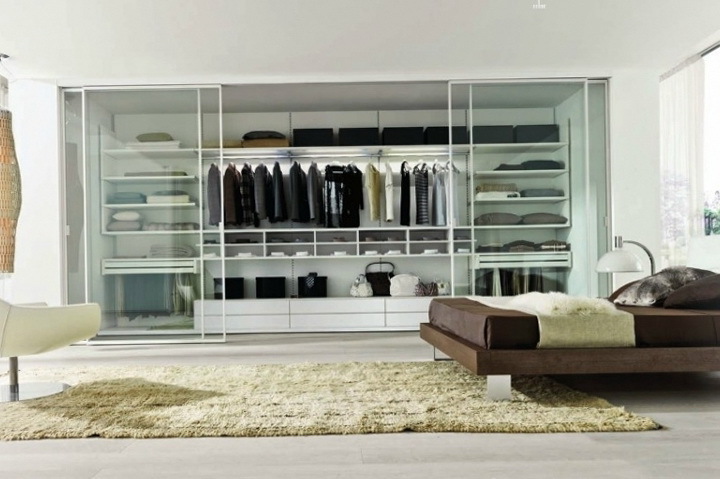 Wardrobe is a separate room, or even take it to a small room can be equipped attic, a closet. 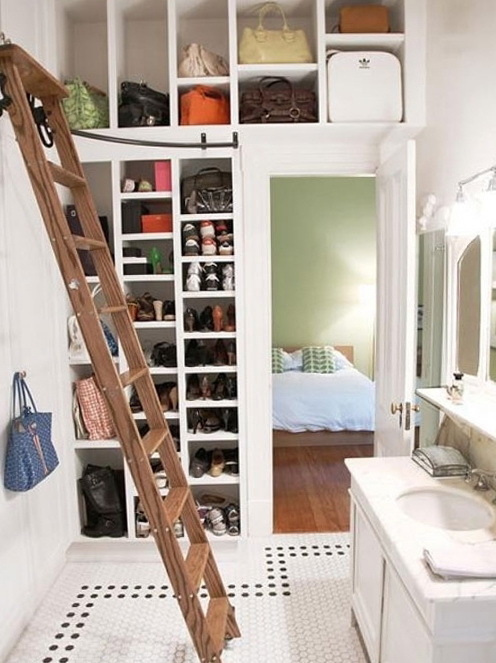 If you can put things in a big enough room to allocate part of the wall to store things. 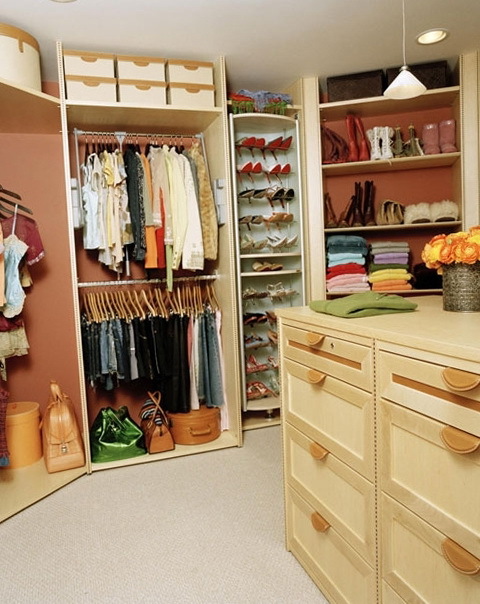 A good option that is popular is the – corner dressing room. 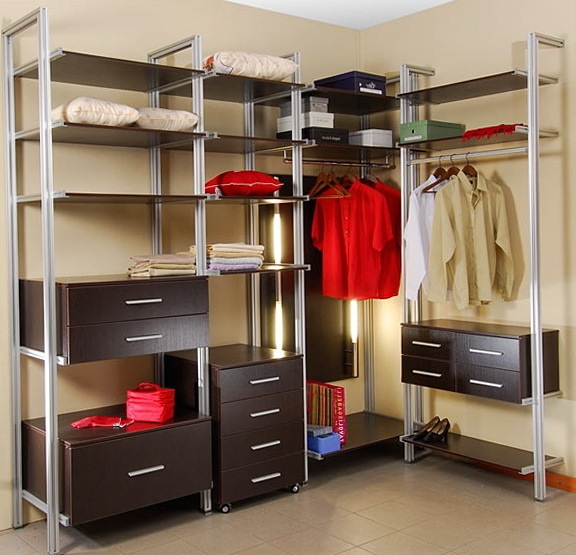 Choose a free angle can be done with shelves, racks, and screens. 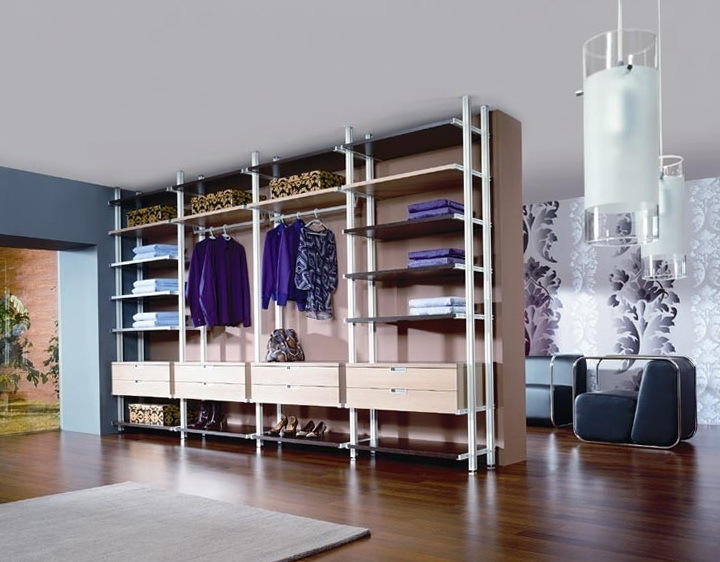 In second place in the dressing room as a square arch, a good option for extending the premises. 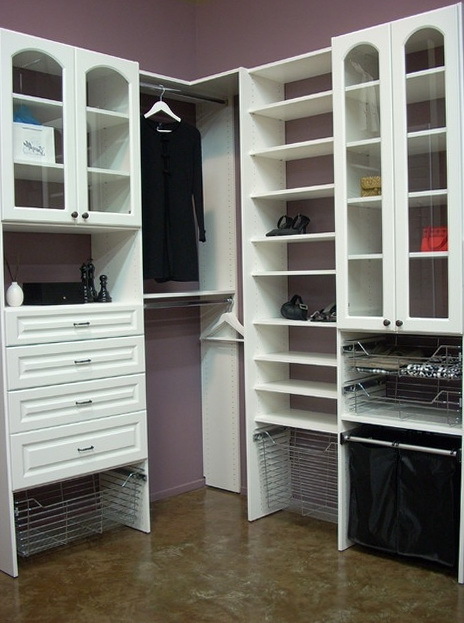 Linear dressing room, close to the oven compartment. 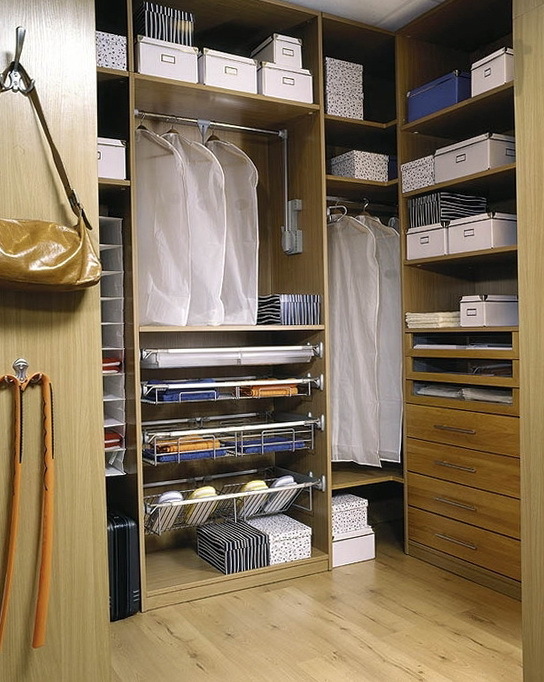 Dressing room to comfortably place the drawers and shelves, if space allows, you can fit an ironing board. 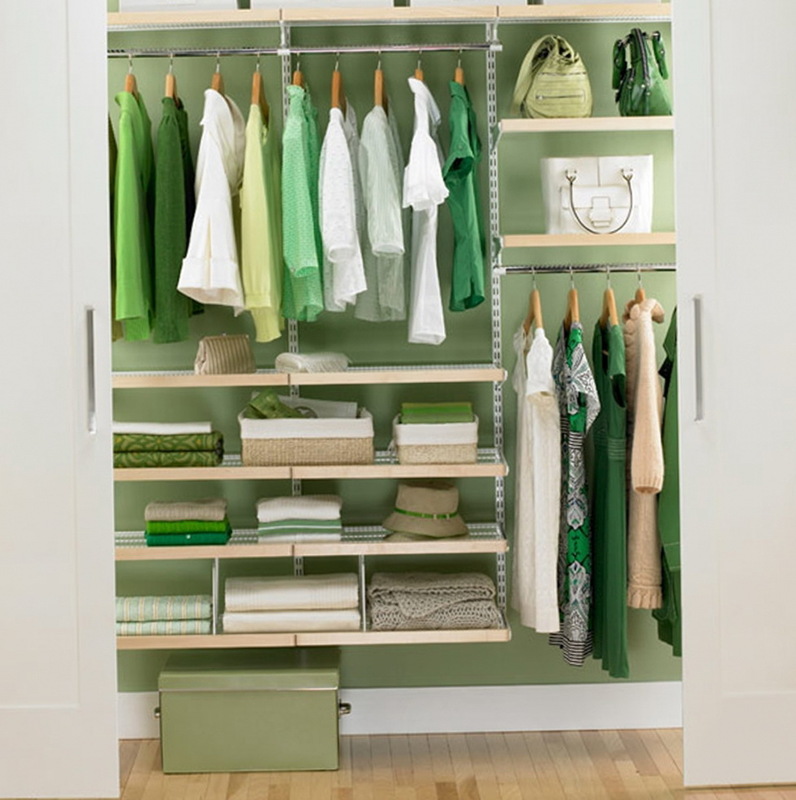 Dressing room should be well organized, things have to be accommodated comfortably, choose the location of things, or the season, or in color. 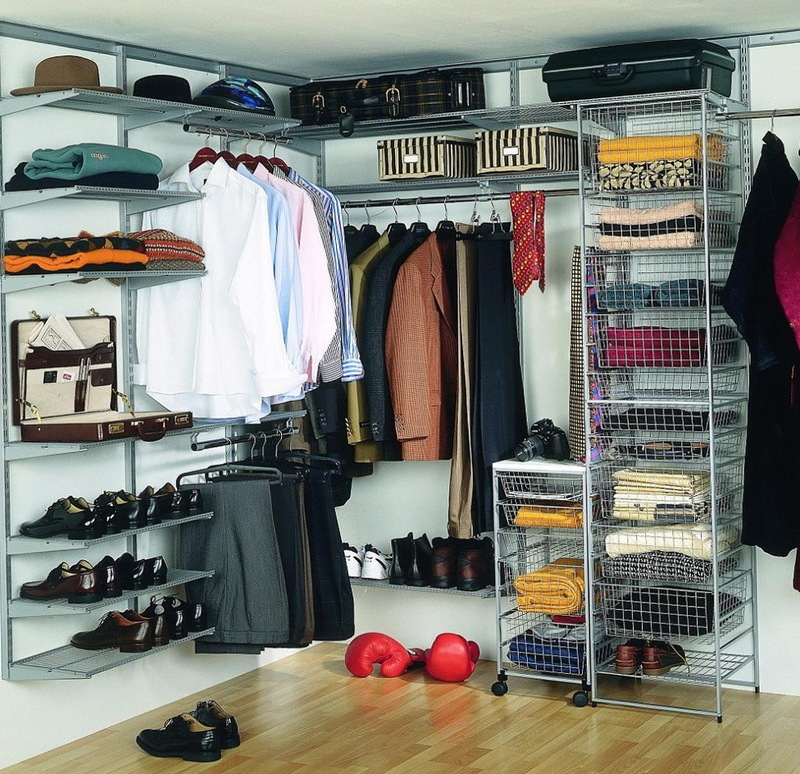 The main aspect in this locker room right lighting, so you can try a thing that is clean and not wrinkled. 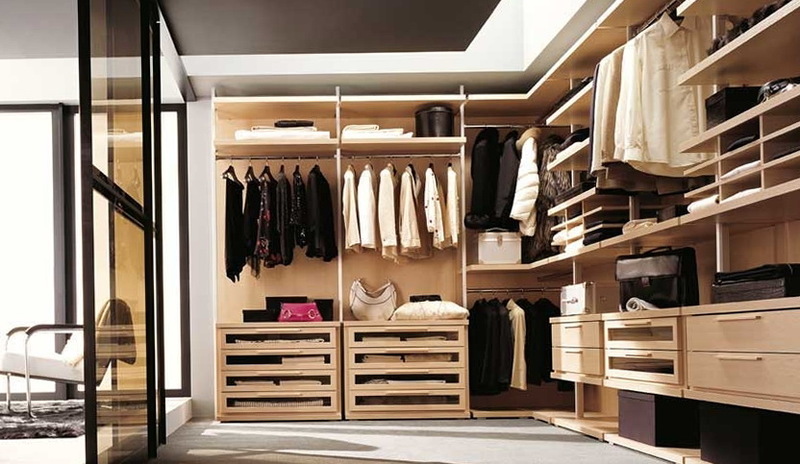 The lighting is better to choose which attach to the ceiling, and prevents you from moving around. 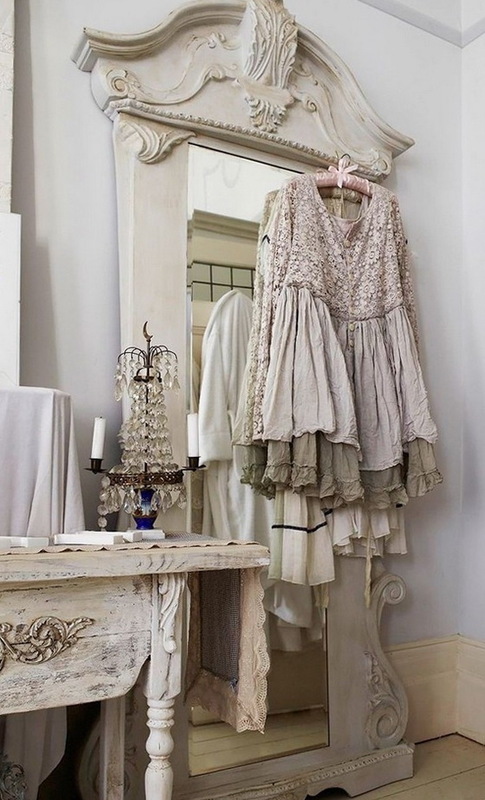 In the dressing room did not forget about the mirror, and it is better to use them in large numbers. 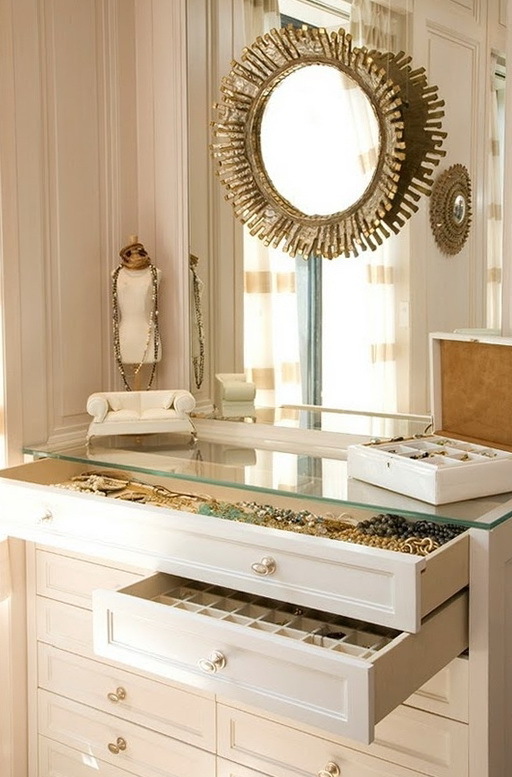 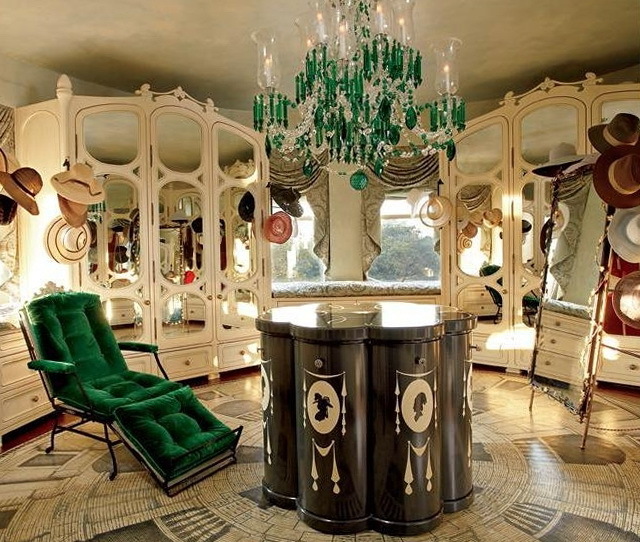 The best arrangement of mirrors around to see yourself from every angle. 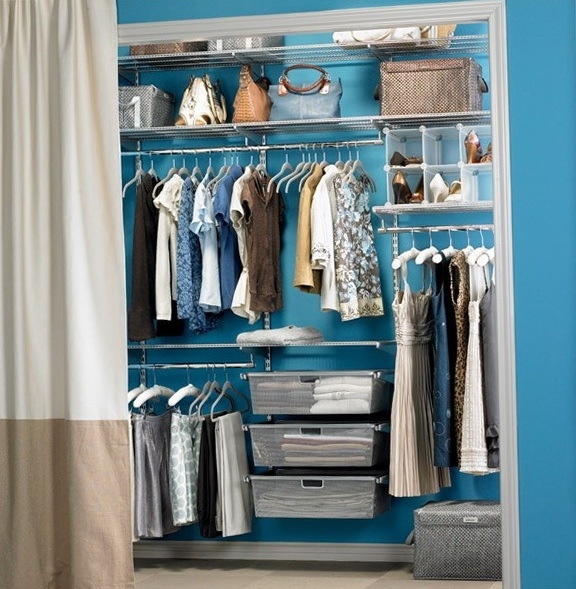 If the dressing room is shared by multiple family members is equipped with a screen, so you can hide behind.